engagement as the scheme develops. 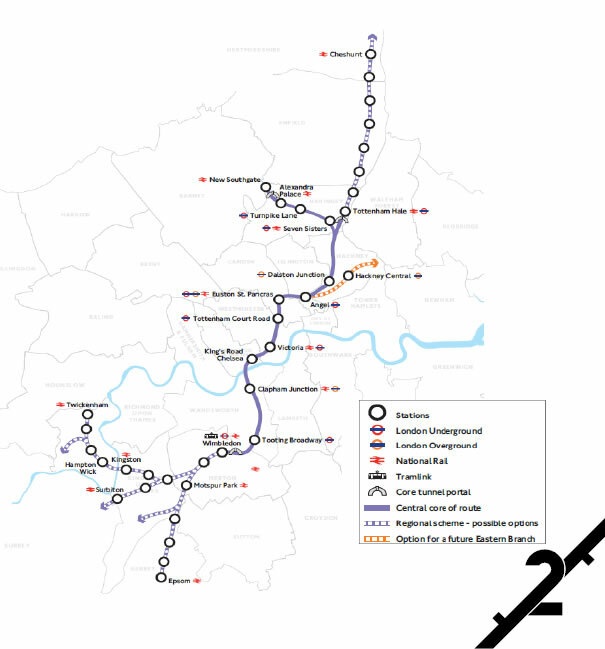 Crossrail 2 will be a brand new railway line, serving south-west to north-east London through central London. It will run on existing and widened railway lines outside of the central core and from a 37 km twin bore running tunnel. With a very high capacity, it should provide additional rail capacity for 270,000 people to travel into central London, per 3 hour peak (up to 30 trains per hour in each direction). The platforms will be approximately 250m long to cater for long trains. For those familiar with it, it is similar to the RER A in Paris. The project is expected to cost around £27bn. Construction could start (at the moment there is still no guarantee that the project will develop, and the team is focusing on finance sources) in the early 2020s, with the scheme open around 2030. 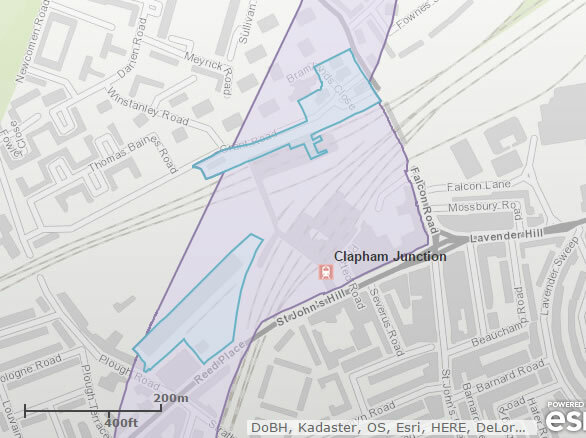 What does it mean for Clapham Junction? A Crossrail 2 station at Clapham Junction will be an underground station providing an interchange to London Overground and National Rail services. At the end of 2014, the Department for Transport published an updated document highlighting the area they identified for potential surface interest for station entrances, tunnel portals, work-sites, and vent shafts. Those areas are safeguarded, which means that planning authorities will need to consult TfL on applications within the limits identified. 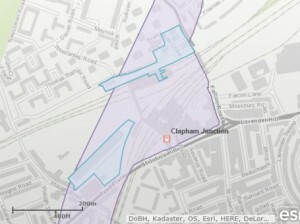 Blue Areas: These are areas where the Crossrail 2 proposals have a greater effect at ground level, such as for stations, temporary worksites or ventilation and emergency shafts. As you can imagine it deeply upset Wandsworth Council which was planning a cluster of tall buildings near Flacon bridge/grant road, to be used for decanting residents during their Winstanley-York Road estates redevelopment project. However, during the discussion following the presentation, the community groups made it clear that priority for the Crossrail 2 station should be on providing public transport and not on retail or housing development. Consideration will be given to interchange requirements for an increased number of passengers at the Clapham Junction Crossrail 2 station at an early stage of design. Bus routes and frequencies will be considered, along with connections for cyclists and pedestrians. Crossrail 2 is working with colleagues in Surface Transport to determine how buses should be accommodated into the scheme at Clapham Junction. TfL and Network Rail are developing the Crossrail 2 scheme together and understand that the community are concerned about the congestion through the station, particularly in the pedestrian underpass. Crossrail 2 is still at a very early stage and therefore the project team do not have specific details relating to construction practices or logistics. In all circumstances, they will seek to minimise the impact that the construction of Crossrail 2 has on local areas, including on the already congested local road network (particularly in regards to removing the excavated materials). Crossrail 2 will organise a consultation during Autumn 2015 to provide the public more detail about our preferred route along with high-level information about station locations, vent shaft locations, proposed work-sites across the route. This entry was posted in Clapham Junction Action Group, Crossrail 2, Wandsworth Events and tagged Clapham Junction, events by Cyril Richert. Bookmark the permalink.